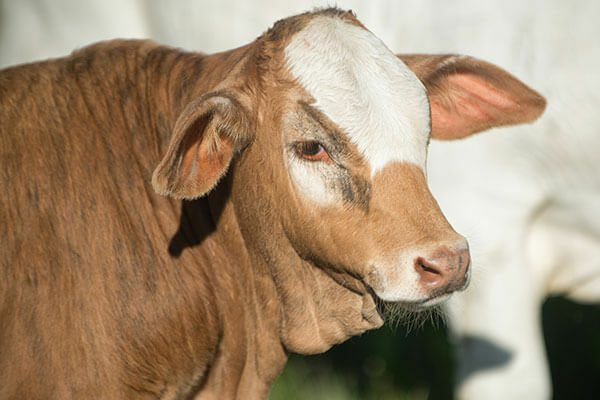 In Texas and much of the southern United States, it takes a great cow to survive the harsh weather conditions, environment and insects. That cow is the Brahman x Hereford F-1. 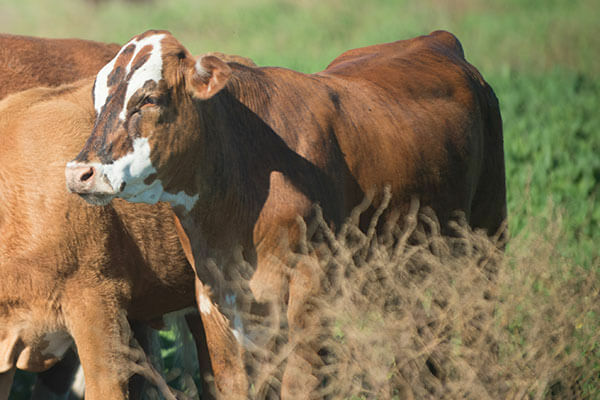 These queens of cow country are known for their extended years in production, milking ability, heat tolerance and the ability to consistently wean a healthy, heavy calf year after year. 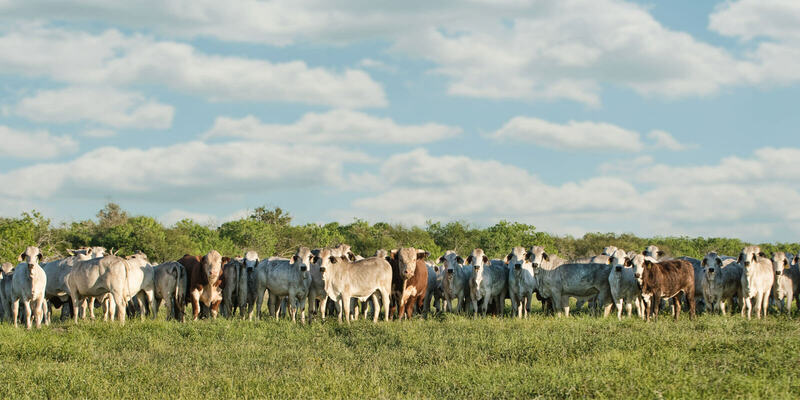 Our program includes a strong focus on producing quality F-1 replacement females, building the best of both of our programs - Brahman and Hereford. The Brahman x Hereford F-1 female is able to thrive in harsh environments and stay fat on limited forages. Years of research has shown that the maximum hybrid vigor is achieved when crossing the Brahman x Hereford. This cross is the foundation of our F-1 Program.